Massage Therapy at Heritage Health allows our patients a means of addressing the muscular component to their specific problem. At Heritage Health, we strongly believe that many problems involve some type of muscular involvement, whether it takes the form of tightness, spasm, or irritation. 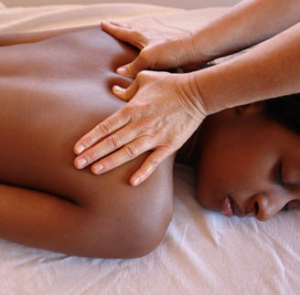 Therapeutic Massage is an important part of the overall treatment plan that we develop for all of our patients. Therapeutic Massage here at Heritage Health is problem specific, medical massage designed to address each patient’s individual issues. Our Massage Therapist uses trigger point release, deep tissue, sports massage, Swedish massage, active release techniques, and manual stretching to decrease pain associated with muscle spasms and tightness to improve overall muscle flexibility and tone. Many of our patients will utilize Massage Therapy in conjunction with Chiropractic, Physical Therapy, or Acupuncture treatments. They feel the combination of treatments provides the longest lasting, best results. We have private treatment rooms for Massage Therapy, and we offer morning, afternoon, and evening hours. Heritage Health provides a well-balanced, natural approach to your health. We are the place to get expert treatment and knowledge on a wide range of issues. Our goal is to provide the very best medical care to our patients. If you are looking for the right chiropractor in Centennial Colorado, contact us today: (303) 694-1245.